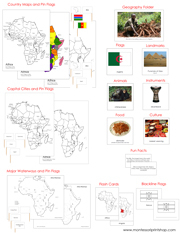 174 Photographic cards for the study of Africa. 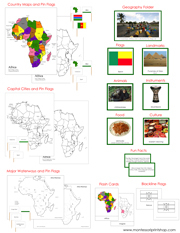 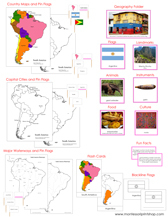 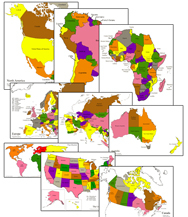 Maps, pin flags, facts, and photographic cards for the study of Africa. 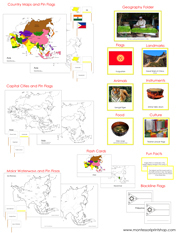 158 Photographic cards for the study of Asia. 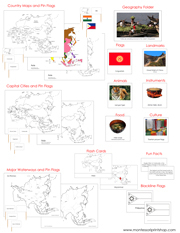 Maps, pin flags, facts, and photographic cards for the study of Asia. 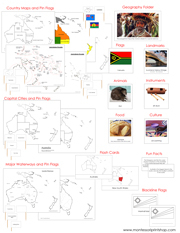 133 Photographic cards for the study of Australia/Oceania. 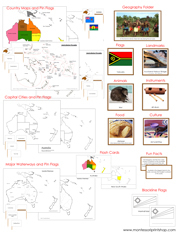 Maps, pin flags, facts, and photographic cards for the study of Australia/Oceania. 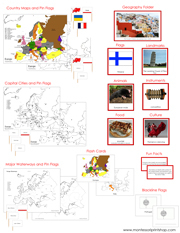 167 Photographic cards for the study of Europe. 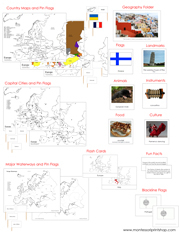 Maps, pin flags, facts, and photographic cards for the study of Europe. 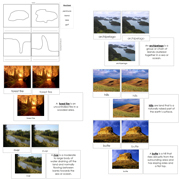 15 Materials for various land & water forms in card and book format. 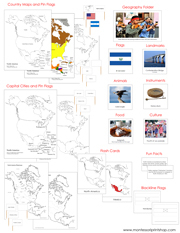 155 Photographic cards for the study of North America. 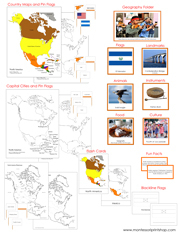 Maps, pin flags, facts, and photographic cards for the study of North America. 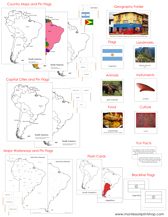 122 Photographic cards for the study of South America.